The 2018 NCAA men's basketball champion Villanova Wildcats had thousands celebrate their huge win with a parade through Center City on Thursday. Philly sports fans could get used to all these victory parades. 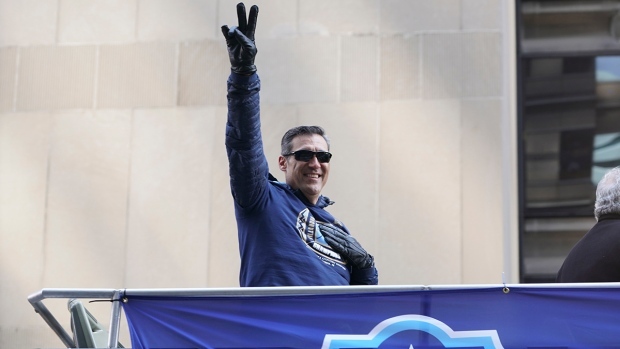 "We do this so much in Philadelphia now I thought you guys would be tired of parades," Villanova men's basketball coach Jay Wright joked to the crowd, referencing the Eagles first-ever Super Bowl win just two months earlier. 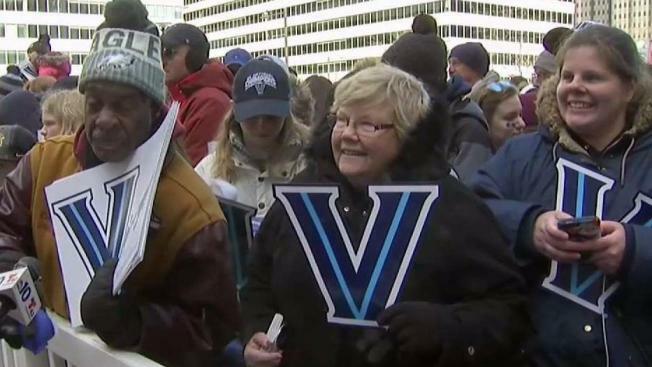 The cold couldn't keep students, alums and basketball fans from celebrating the Villanova University men's basketball team as it paraded through Center City, Philadelphia, in honor of a second NCAA national championship in three years. The route took the champs on top of double-decker buses along Market Street from 20th Street to Philadelphia City Hall. The Wildcats threw T-shirts into the cheering sea of blue and white, confetti fluttering in the air. Along the way, head coach Jay Wright took time to give NBC10's Keith Jones credit (or not) for his work as a practice player with the team during his college days. 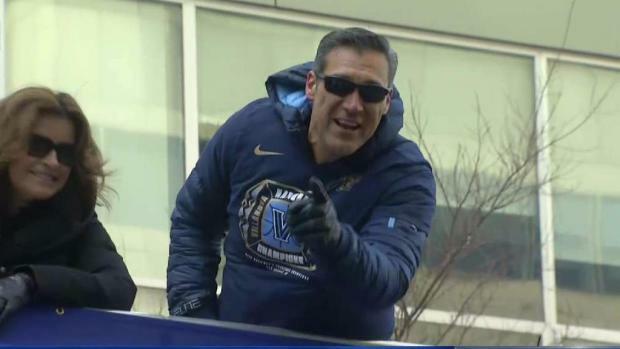 Market Street is booming with Villanova pride, and head coach Jay Wright, along with the rest of the team, are enjoying themselves! Once at City Hall, a huge pep rally took place inside Dilworth Park at 11:45 a.m. The players and coaching staff joined Wright on stage. The crowd chanted for star Mikal Bridges to spend "one more year" on the Main Line before heading onto a professional career. They also showed love for other stars like Jalen Brunson and Donte DiVincenzo as they made brief remarks. 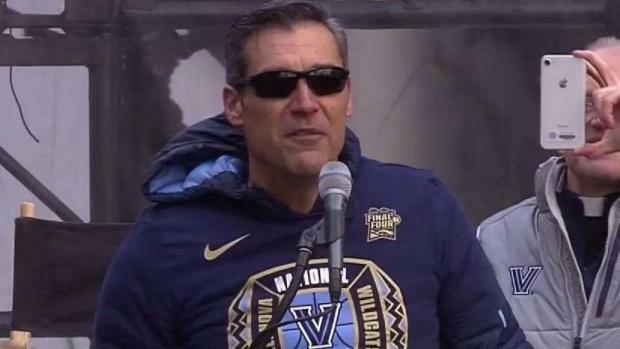 Villanova head coach Jay Wright is thanking Nov Nation as well as the rest of the Philly Big 5 schools for cheering the Wildcats to the 2018 national championship. Plenty of current students, alumns and fans gathered along the parade route and outside City Hall. Villanova has canceled class so students can attend the parade. "Not much winning has been done in Philadelphia, at least in my lifetime, so it's good to see," said Mike McGovern, a Villanova alum who graduated in 1998. He works in an office building along the parade route and was cheering the team with his dad and three young children. On Monday, the Wildcats dominated Michigan, 79-62, to claim the NCAA championship. It was a fitting end to their romp through March Madness; Villanova won all six games by double digits. The only other teams to do so: Michigan State (2000), Duke (2001) and North Carolina (2009). The Villanova Parade has drawn in thousands of fans to Market Street, making this already exciting atmosphere even more electrifying. "From the bottom of my heart," he said solemnly before quickly bursting into a grin and yelling: "Go cats! Go cats!" This is the second victory parade that the city has hosted in two months. 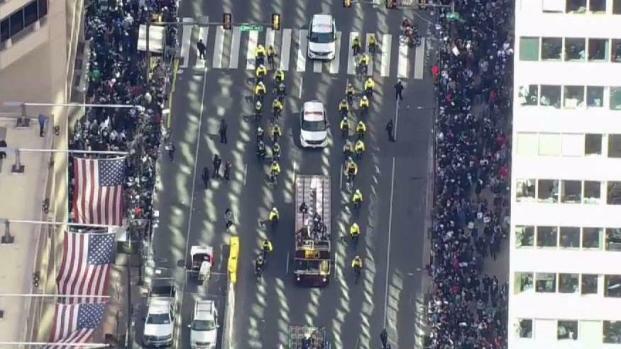 The Eagles Super Bowl victory parade was held Feb. 8. It is also the third Nova victory parade following 1985 and 2016.